Ashanti Grinage had started showing symptoms of a cold on Sunday, but did not develop a fever until Tuesday, her family said. 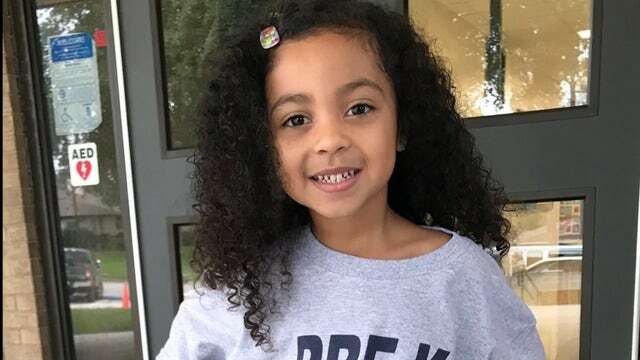 A Texas family is mourning the death of their 4-year-old daughter who died from a flu-related illness last week after testing positive for the virus only days earlier. Ashanti Grinage, who according to family members did not receive the flu vaccination this year, was taken to the emergency room after she developed a 103-degree fever last Tuesday, Fox 4 News reported. According to her father, Ashanti had been showing symptoms of a cold since Sunday but she wasn’t tested for pneumonia when she arrived at the emergency room, and was sent home once her fever subsided. He told ABC 13 that he regrets not pushing for more testing on their first visit. On Thursday, Ashanti had become lethargic and was taken back to the unidentified hospital, where she was then-diagnosed with pneumonia. Ashanti died later that same day, Fox 4 News reported. Ashanti’s mother was then hospitalized at Baylor Scott & White Medical Center for the virus and pneumonia as well, but has since been released, Martell Grinage told the news outlet. In the state’s most recent influenza report, dated Feb. 1, officials had reported widespread activity. Officials have already confirmed at least two other flu-related pediatric deaths in the state this season. Ashanti’s family said their child had no underlying health conditions prior to contracting the virus. According to the Centers for Disease Control and Prevention, more than 4,400 flu-related hospitalizations have occurred since Oct. 1. The highest rate of hospitalization is among adults older than 65 and children younger than 5. As of Jan. 26, the nation has recorded 24 flu-related pediatric deaths. Physicians and health officials continue to stress that the flu vaccine is the first line of defense against the virus, and that it can help lessen the severity of the illness. The virus typically causes fever, cough, sore throat, runny or stuffy nose, muscle or body aches, headaches, fatigue, vomiting and diarrhea. While most people recover from the flu without requiring hospitalization, some can develop life-threatening complications. Those most at risk for severe illness include patients 65 and older, people with chronic medical issues, pregnant women and children younger than 5. February 22, 2019 Comments Off on A Times Square Billboard Hits Ocasio-Cortez on Amazon. She Hits Back.